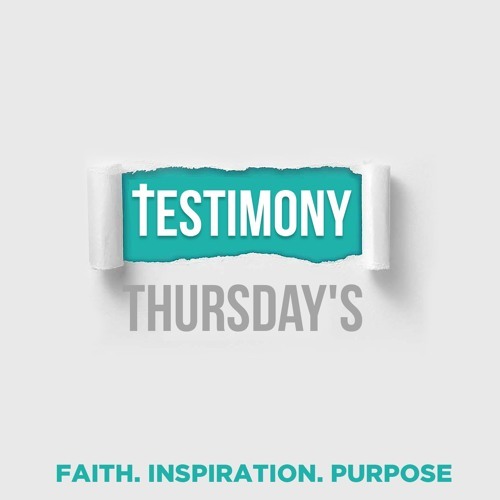 Testimony Thursdays is a weekly inspirational podcast created to inspire the inspired.Every week I will be sharing testimonies I have encountered, from hearing No, trusting my journey and learning to lean on my faith. Which are things I know we all can relate to. So be sure to subscribe and be ready to receive your weekly dose of inspiration every Thursday starting.Testimony Thursdays is a weekly inspirational podcast created to inspire the inspired.Every week I will be sharing testimonies I have encountered, from hearing No, trusting my journey and learning to lean on my faith. Which are things I know we all can relate to. So be sure to subscribe and be ready to receive your weekly dose of inspiration every Thursday.